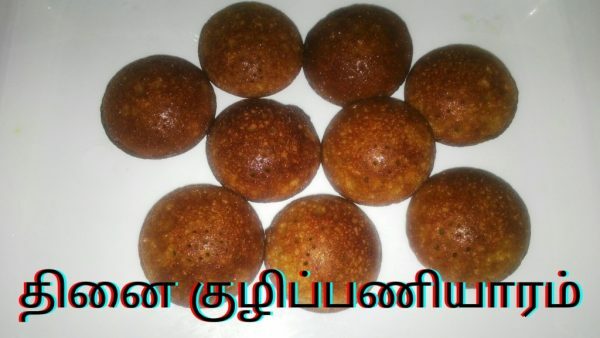 Kuzhi Paniyaram prepared with thinai flour. 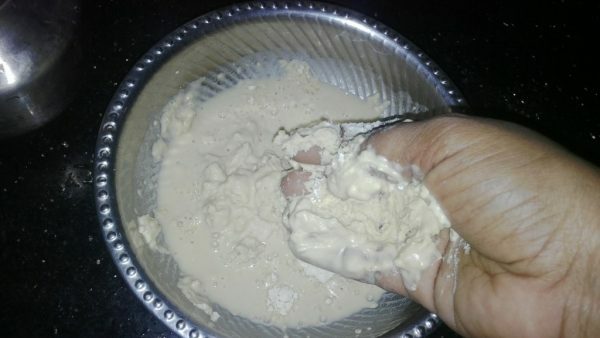 Thinai flour normally tastes good and used to prepare tasty ladoo, kheer,paal kozhukatai etc. You can get thinai flour in super markets as well. If you want to prepare flour at home just roast thinai rice in a pan till golden brown add it in a mixie and grind till smooth. You can sieve flour using a sifter(flour filter). Or soak rice for preparing rice flour and you can grind in a mill. We prepare this occassionally as it takes some time to cook. 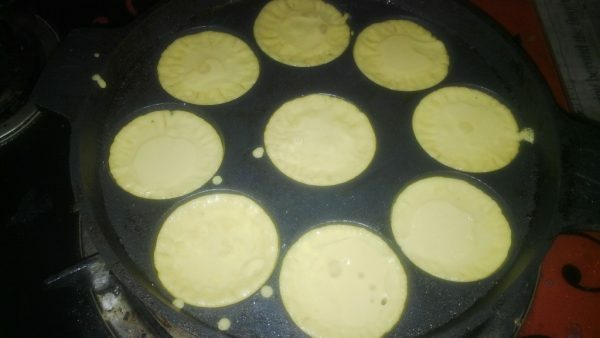 Kerala style authentic kuzhi Paniyaram check out the step by step method. It was soft and sweet. Everyone enjoyed the taste and surprisingly my daughter tasted this. 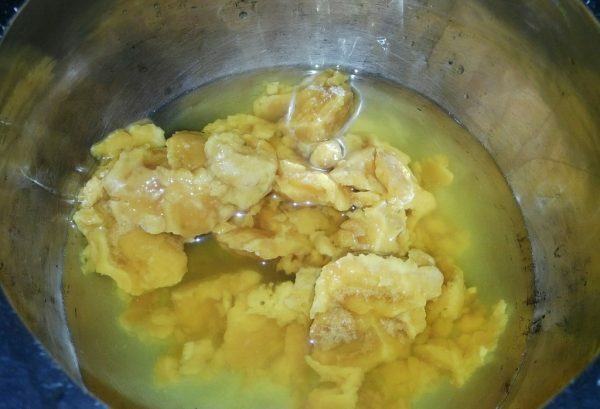 Prepare jaggery syrup with less water. Strain for impurities and keep aside. 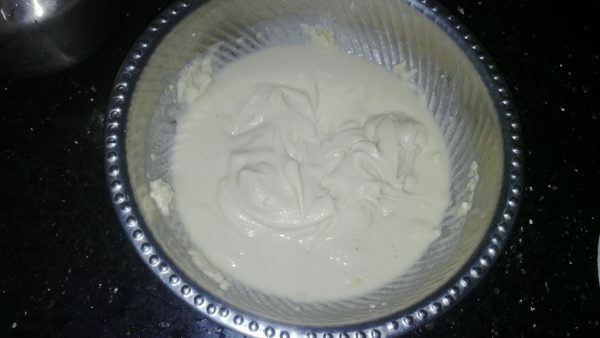 In a bowl add thinai flour and pour water and mix well in hands. 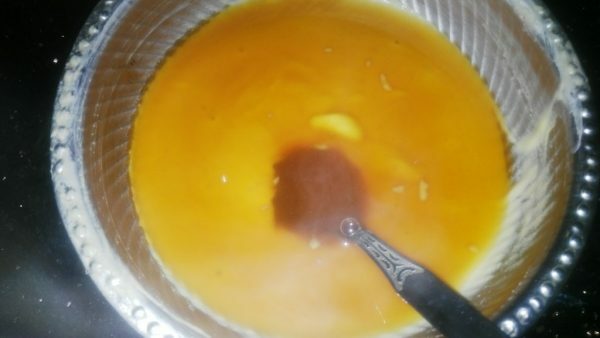 Prepare almost thick as we are going to add jageery syrup to it. 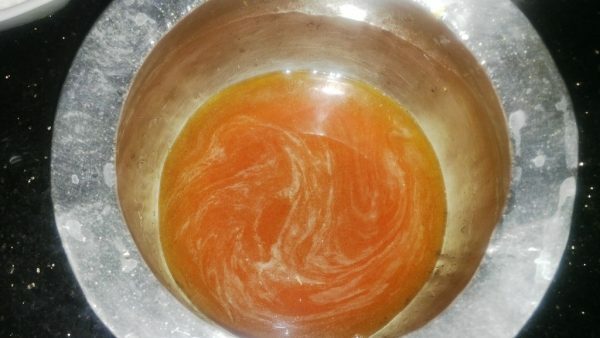 Now add jaggery syrup and mix well. Add 2 tbsp rice flour and mix the mixture well. 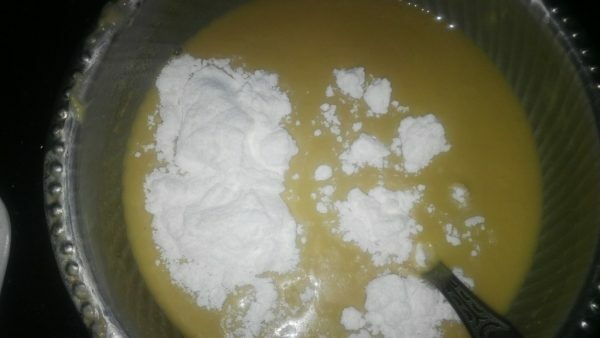 Add cardamon powder and mix. 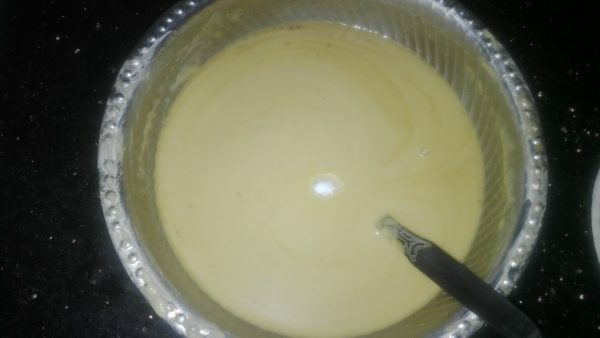 The batter should not be thick or thin. A dosa batter consistency is ok. Check the picture. Add a pinch salt and a pinch baking soda. 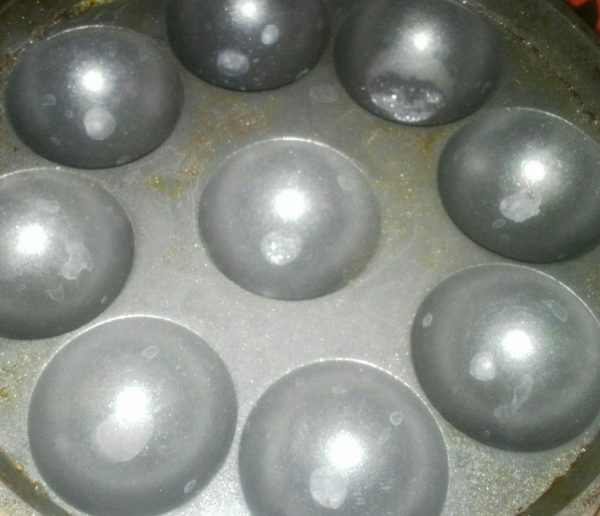 Heat Paniyaram pan, pour a half tsp oil in each hole. 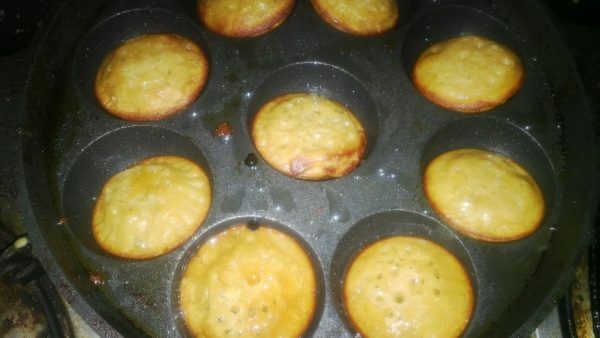 Pour the batter in each hole little by little. 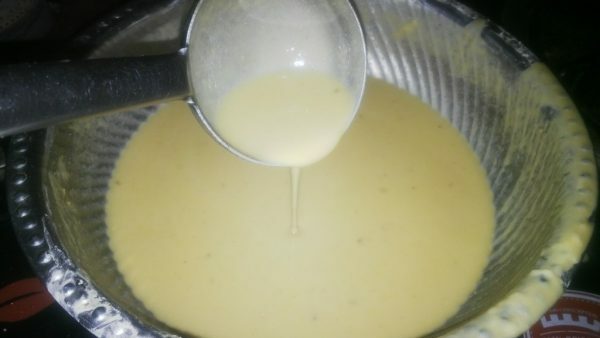 Add oil above and cook in medium flame. 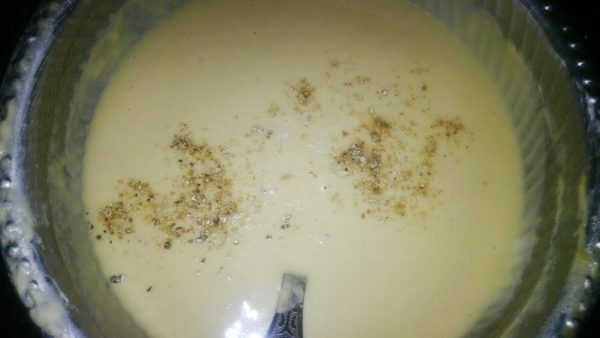 In jus 4-5 mins one side will be turned golden brown. Now turn the other side with a knife or Paniyaram needle which is used for cooking vada, Bonda etc. 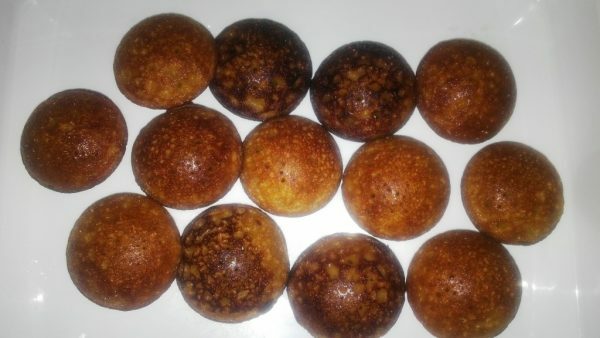 To check the Paniyaram is cooked just leave the needle or knife inside Paniyaram no batter should be present in the needle or knife if batter is present cook for some more time. 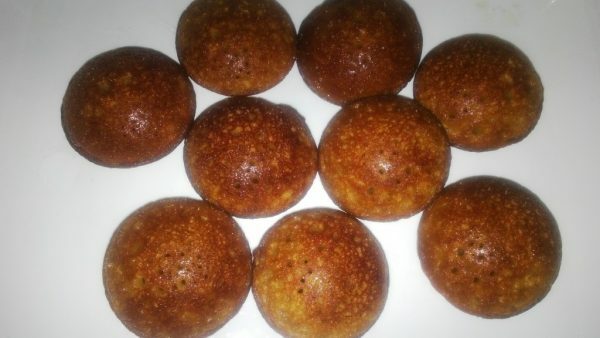 Hot and tasty Paniyaram is ready to serve. No need any sidedish. If you like you can have with coconut. And also you can add ghee roasted coconut pieces in the flour. 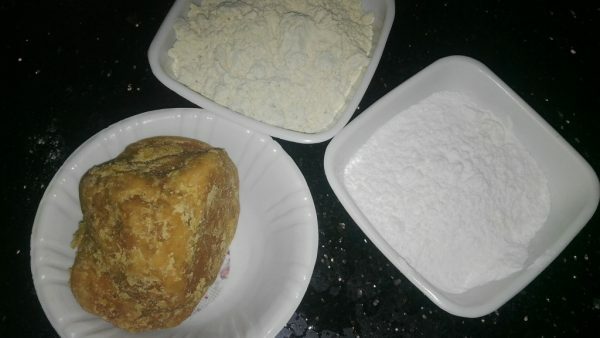 You can add wheat flour instead of rice flour. 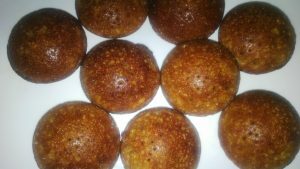 You can also use any type of millet flour. 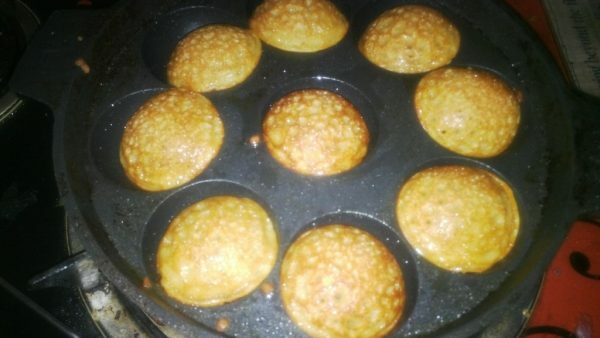 Check the right consistency of the batter otherwise you wont get a soft paniyaram.